When you are fighting for space, even the smallest multi-functional idea can make a big difference. 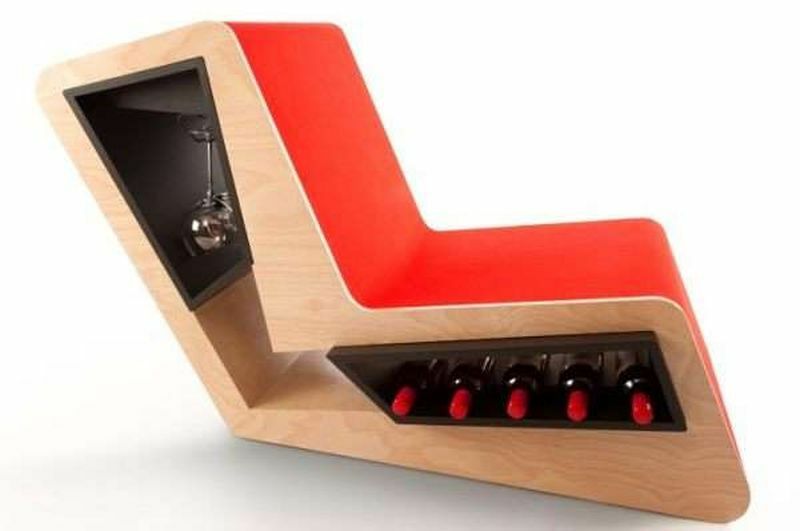 Well, it is time to think out of the box and transform your old furniture into a new idea. Here are some design inspirations you can use. When you have a small house, keeping too many things can take up a lot of space. Instead of that, you can opt for the layered storage idea. 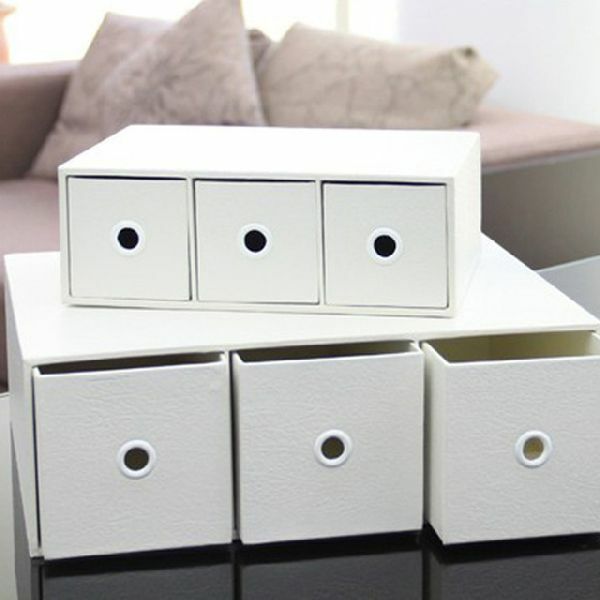 In this concept, you can built different sized drawers and stack it one on top of the other. This way, you do not need a ladder to access the topmost drawer since you can use the stair concept within the design itself. If you are planning to have a small gaming table but do not have the space for it, then this idea is for you. In this concept, you can blend in the pull out and push in concept where the gaming table can be accessible when you want to use. When you need a dining table, simply flip the sides back into place. Thinking of using your old chairs in a different manner? Well, this idea will work for you. You can hang your chair upside down on the wall and use the bottom side of the seat to stack up things. It is also a great way to have a jacket or cap hanger without investing in a new one. Cat lovers will love this idea. Give your cat a space of its own by building a small cathouse within a side table. In fact, you can even use this idea to store the pots of your indoor plant as well as use it as a side table. For you home office, you can bring in a style element with this idea. 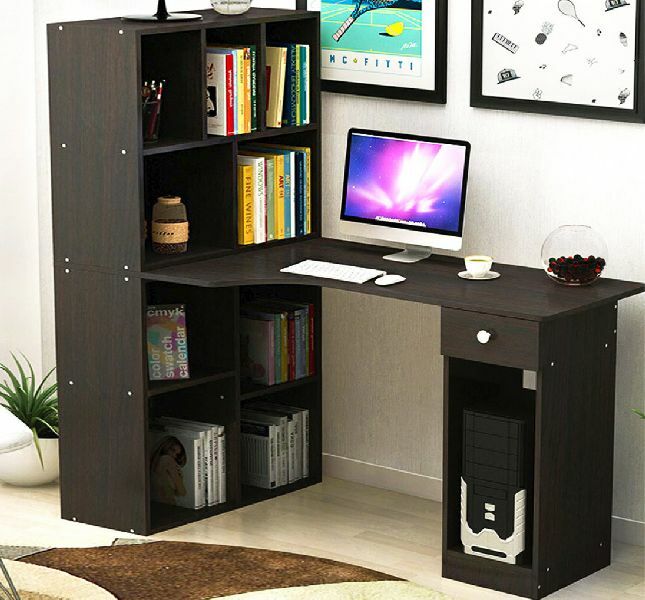 With a single unit, you can get a bookshelf, a workstation and even space to keep your equipments. This is a great idea for a small spaced office. 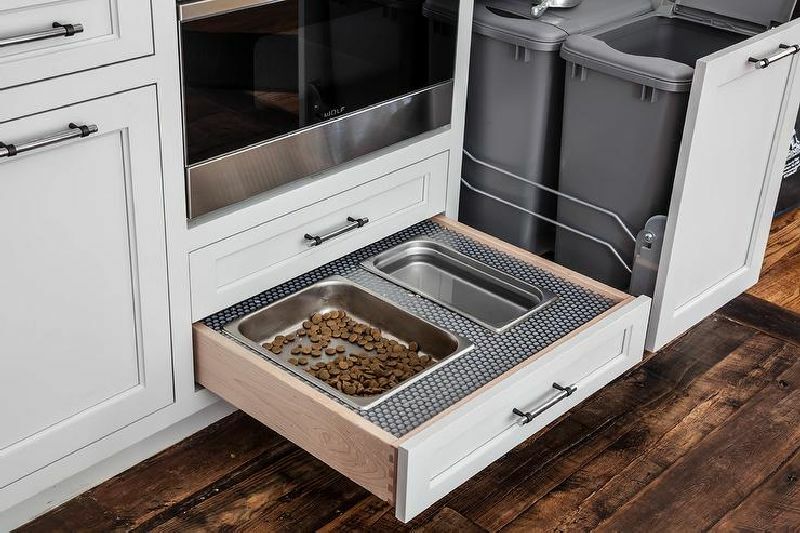 When you have a dog in the house, you would need a little space for its food bowl. Instead of investing in a readymade stand, you can convert one of your drawers into a pull out stand. Just have enough provision to keep the bowls at a decent height so that it is comfortable for your furbie to eat. Also, make sure that the bowl should not move around while eating.